Pregnancy can be one of the happiest times in a woman’s life, but after the baby is born, lots of changes occur in a new mom’s body. Postpartum depression is one problem that some women have to deal with. Postpartum depression, also known as PPD, is a type of depression that occurs in new mothers after delivery. A combination of biological and emotional factors may lead to this problem. The levels of estrogen and progesterone in the body fluctuate dramatically after delivery. These hormones are linked with neurotransmitters that affect a person’s mood and the chemical fluctuations can increase the risk of postpartum depression. According to the National Institute of Mental Health, postpartum depression occurs in almost 15 percent of births. It can start shortly before or after childbirth. However, it usually begins between a week and a month following delivery. Major symptoms of postpartum depression include feelings of being overwhelmed, intense anxiety, frequent crying or weeping, irritability or anger, sadness, fatigue, feelings of worthlessness, changes in sleeping or eating habits, lack of concentration, and intense worry about the baby or lack of interest in the newborn. It can also cause physical symptoms, such as headaches, chest pains or hyperventilation. As prolonged depression may be harmful for the health of the new mother and her child, it is important to consult a doctor immediately if you are experiencing these symptoms. 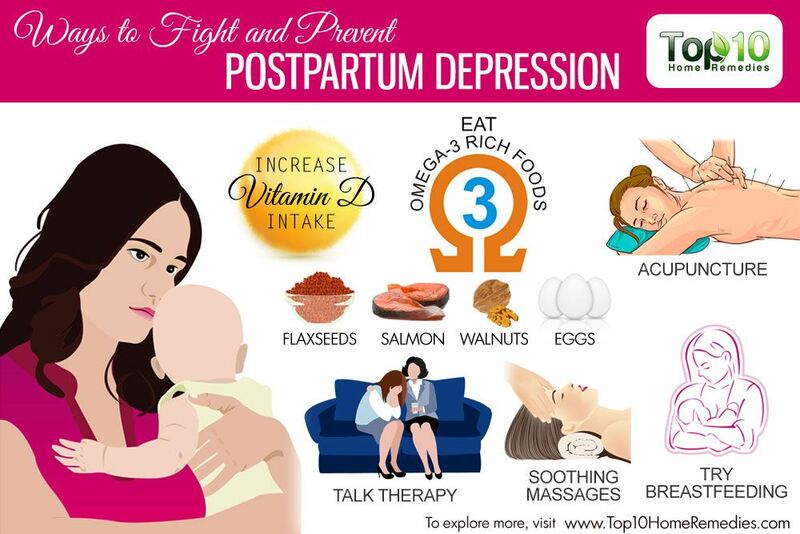 Here are the top 10 ways to fight and prevent postpartum depression. 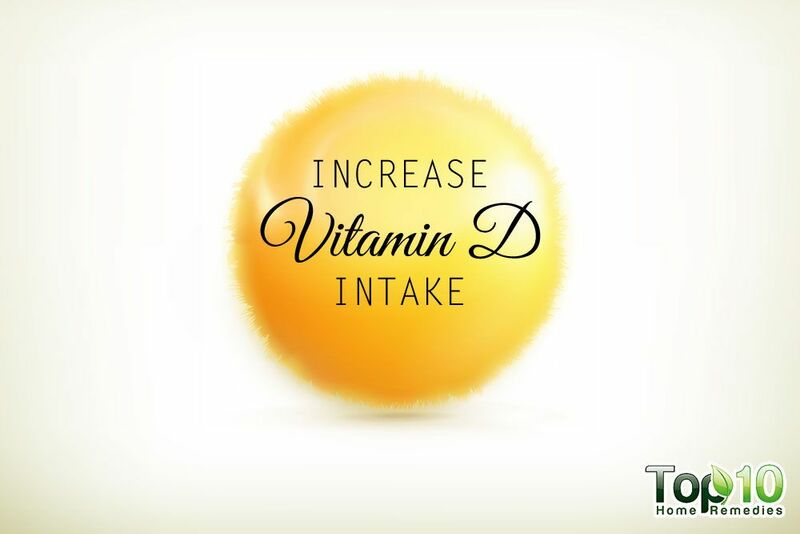 Vitamin D is an essential nutrient that is important for mental health. This vitamin aids in the production of serotonin, the brain hormone associated with mood elevation and happiness. An adequate level of serotonin helps prevent and treat postpartum depression. During pregnancy, with the demands placed on the body by the fetus, there is increased risk for vitamin D deficiency. A 2010 study published in the Journal of the American Psychiatry Nurses Association shows a significant relationship over time between low 25(OH)D levels (a measurement of vitamin D) and high Edinburgh Postpartum Depression Scale scores, indicative of postpartum depression. A 2015 study published in the Journal of Pharmacy Technology suggests a possible correlation between vitamin D levels at midpregnancy and postpartum depression. Women with risk factors for this type of depression should try to maintain normal vitamin D levels. However, further research is needed to determine the benefit of vitamin D supplementation in preventing it. As the active form of vitamin D is produced by the body as a byproduct of sun exposure, it is important to spend time in the sun, especially during the morning, for 15 to 20 minutes daily. Vitamin D is also found in certain foods, including some kinds of fish, egg yolks, and fortified dairy and grain products. Vitamin D supplements may be needed to effectively stimulate a more positive mood and fight symptoms related to depression. Consult your doctor for an appropriate dosage. 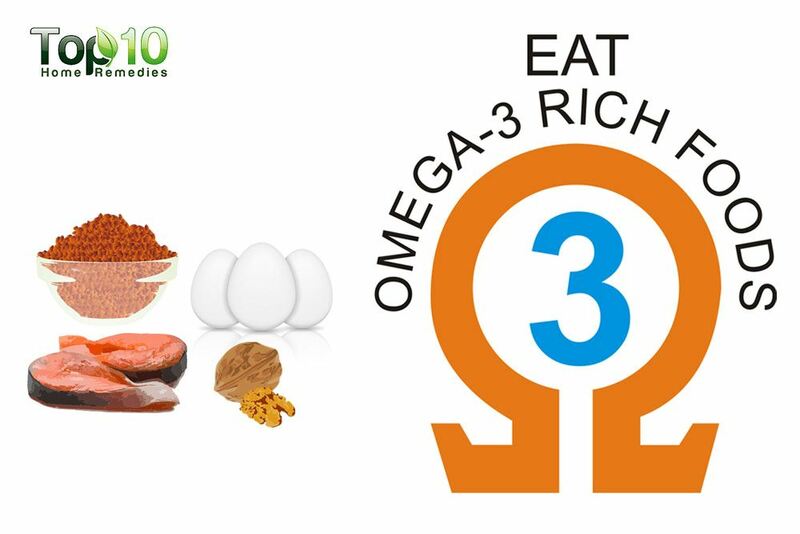 Omega-3 fatty acids are vital nutrients for a number of cell functions. These fatty acids are a key component in cell membranes, which aid the proper functioning of serotonin. Serotonin is important for carrying messages to the brain cells to maintain a positive mood. Omega-3 fatty acids also play a key role in the development and functioning of the central nervous system. A 2011 study published in BMC Pregnancy and Childbirth reports that eating fatty fish or other foods rich in healthy omega-3 fatty acids during pregnancy may help lower the risk of developing symptoms commonly seen in postpartum depression. A 2014 study published in Behavioral Brain Research suggests that fish oil, rich in omega-3, exerts beneficial effect on postpartum depression and decreases the biomarkers related to depression, such as corticosterone and pro-inflammatory cytokines. To ensure an adequate intake of omega-3 fatty acids, eat more flaxseeds, fatty fish like salmon, walnuts and omega-3 fortified eggs. You can also take an omega-3 fatty acid supplement, after consulting your doctor. New moms diagnosed with postpartum depression need a secure emotional attachment with their newborns. The infants also need this secure attachment with their mothers. This nonverbal emotional bond aids in releasing endorphins that make mothers feel happier and more confident as a mom. To build this strong emotional bond, breastfeeding is the best option. However, mothers with postpartum depression may be less likely to breastfeed. So, it becomes important for the partner or other family members to help new moms understand the importance of breastfeeding. A 2012 study published in the International Journal of Psychiatry in Medicine indicates that women who breastfeed their infants reduce their risk of developing postpartum depression, with effects being maintained over the first four months postpartum. Postpartum depression may also decrease the rate of breastfeeding, suggesting a reciprocal relationship between these variables. A recent 2016 study published in CMAJ Open reports that quality of breastfeeding support is important not only for breastfeeding promotion but also for maternal mental health. Educating front-line caregivers to ensure that breastfeeding women experience positive support can reduce the risk of postpartum depression. 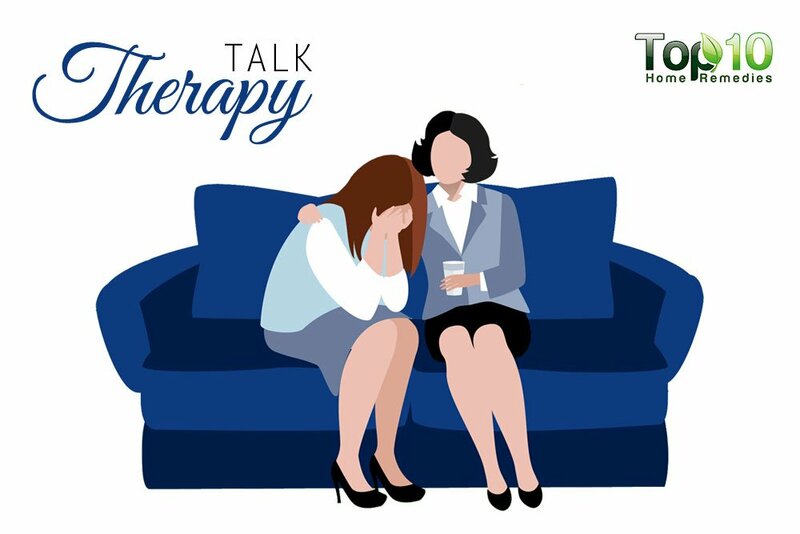 In talk therapy, a mental health professional (a counselor, therapist, psychologist, psychiatrist or social worker) talks with the woman suffering from postpartum depression on a one-to-one basis. This allows the new mom to share all her fears and emotions in confidence with someone outside her circle of family and friends. Through the therapy, the new mother becomes ready to accept the new responsibility of motherhood in a much better way. Two types of counseling are found to be very effective in treating postpartum depression. These are cognitive behavioral therapy (CBT) and interpersonal therapy (IPT). CBT helps people recognize and change negative thoughts and behaviors. This talk therapy is based on the premise that both perceptions and behaviors are intimately linked to mood. On the other hand, IPT helps people understand and work through problematic personal relationships. This time-limited therapy focuses mainly on addressing the person’s interpersonal connections. In both these therapies, treatment usually lasts three to four months. 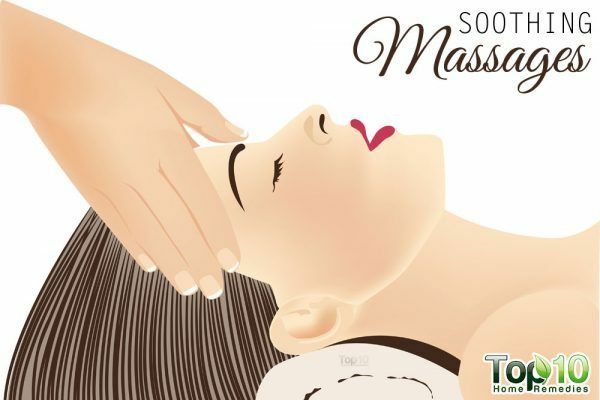 A soothing, warm massage is one of the best ways to pamper a depressed body. Massage not only rejuvenates a depressed body but also fills it with renewed energy, which is important as being a mother you have a new responsibility of taking care of your newborn baby. It even helps get rid of all the negative feelings and thoughts, as well as plays a key role in managing physical pain and the impacts of stress. Postpartum massage has other benefits too, including hormone regulation, reduced swelling, better sleep and improved breastfeeding. Along with that, attending baby massage under the supervision of your partner or an expert can even help fight postpartum depression. It helps depressed mothers bond better with their newborns. A 2008 study published in the Journal of Affective Disorders indicates that attending baby massage improved maternal depression and mother-infant interactions. It is important to find a massage therapist who is certified in post-delivery massage therapy. 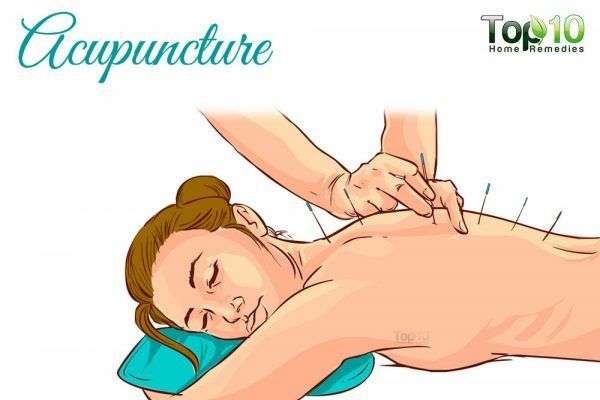 Another significant way to deal with depression post-delivery is the age-old acupuncture therapy. In this therapy, thin needles are inserted at specific vital pressure points in the body. It helps maintain equilibrium of the various hormones in the body. It can even give the mother a boost of energy to replenish the energy depleted during childbirth. 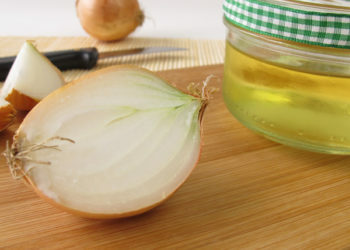 Also, it helps resolve pain and improve thyroid function. Acupuncture also appears to be an effective way to reduce depression symptoms during pregnancy. A 2010 study published in Obstetrics & Gynecology reports that standardized acupuncture protocol could be a viable treatment option for depression during pregnancy. Another 2012 study published in the Journal of Affective Disorders found that both electro acupuncture and non-invasive sham acupuncture were effective for postpartum depression. However, further studies utilizing larger sample sizes, better recruitment strategies and home-based acupuncture treatment are needed. When it comes to acupressure, it is important to get it done by an expert only. The use of bright light therapy as a treatment for depression has become popular in recent times. In fact, this therapy is effective in treating mental problems where dysfunction of serotonin and/or melatonin regulation mechanisms is thought to be operative, such as in seasonal affective disorder (SAD), premenstrual disorder and postpartum depression. In this therapy, the patient’s eyes are exposed to intense but safe amounts of light for a specific and regular length of time. The light may correct a problem with the inner biological clock, called the circadian rhythm. Also, it affects neurotransmitters in the brain, such as serotonin, noradrenalin and dopamine, which are important in treating depression. A 2000 study published in the American Journal of Psychiatry highlights the positive effect of bright light therapy on postpartum depression. 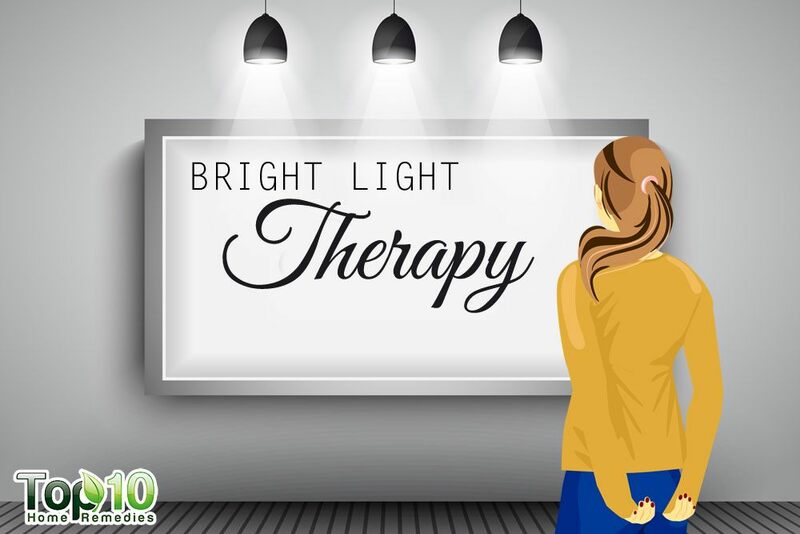 A 2004 study published in the Journal of Clinical Psychiatry also reports bright light therapy to be a promising treatment for depression during pregnancy. By practicing mindfulness meditation, you can make labor easy and even control your emotions effectively. This will make you peaceful and controlled and even reduce the risk of postpartum depression. Mindfulness means the awareness that emerges when you learn to pay deliberate and open-hearted attention to the moment-by-moment unfolding of the external and internal world. In fact, mindfulness meditation can make you feel calmer and more energized. These factors are needed for the new role of parenthood. 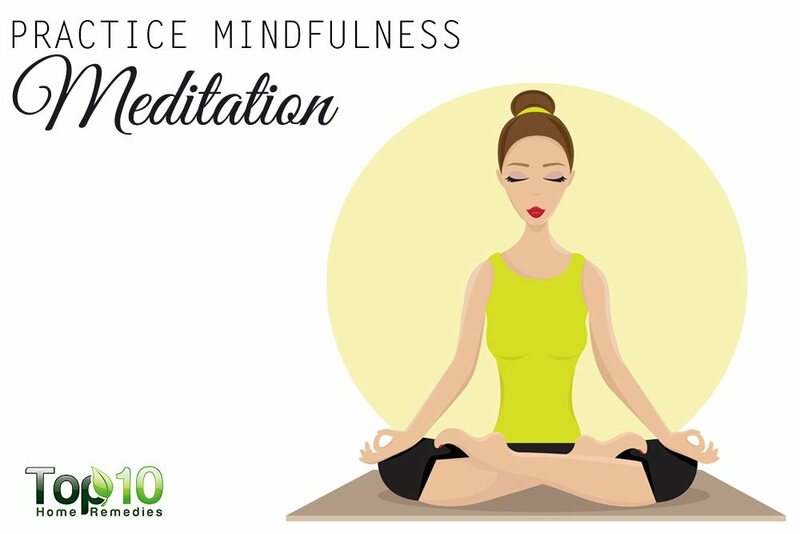 A 2009 study published in the British Journal of Midwifery reports that mindfulness practices help participants to see more clearly the patterns of the mind. It helps both to halt the escalation of negative thinking that might compound pain or a depressed mood and to deal with the tendency to be on ‘autopilot’. Initially, make it a daily habit of spending at least 5 minutes intentionally practicing deep relaxation. Then, gradually increase the time. Sleep is highly essential for a new mom. A full eight hours may seem impossible when you’re dealing with a newborn, but poor sleep makes depression worse. 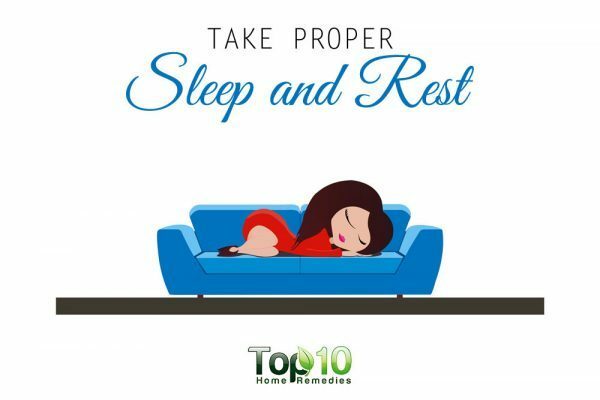 Poor sleep leads to significant alterations in brain neurotransmitter functioning, which is one of the reasons behind depression. A 2009 study published in Sleep found that poor sleep was associated with depression, independently of other risk factors. During pregnancy and the postpartum period, it is important to catch up on lost sleep with naps. If possible, a new mother should take the baby out for a walk every morning to improve the maternal and child circadian rhythms. You can also ask your partner to help with the nighttime work. Exercise is just as effective as medication when it comes to treating depression. Hence, after delivery, the sooner you get back up and moving, the better. There is no need to indulge in intense workout programs. Just a 30-minute walk each day will work wonders. You can also take your baby along in a stroller. Stretching yoga exercises are also especially helpful in getting you back in shape. A 2007 study published in the Journal of Midwifery & Women’s Health highlights the role of exercise in treating postpartum depression. In fact, exercise has antidepressant effects on people suffering from the condition. A 2009 study published in the Journal of Psychosomatic Obstetrics and Gynecology says that exercise can help alleviate a postpartum depressed mood. Especially home-based exercise has the potential to alleviate postpartum depressive symptoms, especially in women with a higher initial depressed mood. A study published in the Journal of Women’s Health in 2011 reports that regular physical activity is effective at reducing postpartum depressive symptoms. Another 2012 study published in BMC Pregnancy and Childbirth also highlights the effectiveness of exercise as a treatment for postnatal depression. 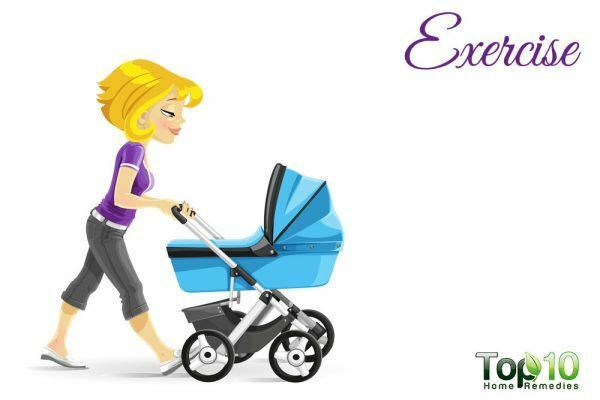 In fact, exercise should be considered as a treatment for women who develop mild or moderate depression during the postnatal period. Learn to bond with your baby. The more emotional connection you have with your baby, the lesser the chance of getting depressed. Motherhood is not an easy job. Do not hesitate to lean on others for help and support. Make your relationships a priority. During difficult times, strong relationships will help you get through the situation. Don’t keep your feelings to yourself. Share what you’re experiencing—the good, the bad and the ugly—with your partner or anyone else with whom you feel comfortable. Make yourself and your baby the priority and do not worry much about household chores. To avoid postpartum depression, make time to take care of yourself. The more you care for your mental and physical well-being, the better you’ll feel. Make meals a priority and be sure to follow a well-balanced diet. Make time for your relationship with your partner. Keep the lines of communication open, especially with your life partner. Listen to a variety of music. Keep a journal to express your thoughts and feelings by writing them out. In severe cases of postpartum depression, antidepressants may be an option. However, medication should be taken only under the guidance of a physician.